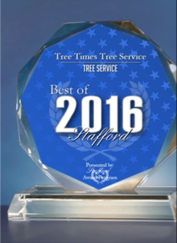 Tree Pruning Tips - Tree Times Inc. This depends to a large extent on why you prune. Light pruning and the removal of dead wood can be done anytime. No more than 20 % of pruning reduction in one growth season. Otherwise, here are some guidelines, but recognizing that individual species may differ is important to remember. Pruning during dormancy is the most common practice. It results in a vigorous burst of new growth in the spring and should be used if that is the desired effect. It is usually best to wait until the coldest part of winter has passed. Some species, such as maple, walnuts and birches, may “bleed”—when the sap begins to flow in the spring. This is not harmful and will cease when the tree leafs out. The only pruning we encourage at Tree Times for summer pruning would be to correct an issue. It’s an easier time of year to identify dead branches, and fungal spores. We can see branches in full weighted value to impede the lawn maintenance. We can correct low hanging branches with a minimal elevation. Summer pruning could introduce funguses, dehydration and sunscald. While pruning this time of year the tree slows down growing since the leaves produced have been removed from the limbs. If we are pruning in summer wait until the main growing season has slowed. Don’t be confused the trees are still growing just not as much before. Typically the growth season has slowed by end of April- May in Stafford area. The reason for the slowing effect is that you reduce the total leaf surface, thereby reducing the amount of food manufactured and sent to the roots. Another reason to prune in the summer is for corrective purposes. For trees that bloom in spring, prune when their flowers fade off. Now that you know when to prune your tree learn the basics of tree pruning.